We always try to keep you up-to-date with interesting digital promotion and niche marketing strategies and good social responsibility campaigns being carried out by clients. Today, we’re going to look at a cross between digital and niche marketing with New Zealand artist, Jordan Reyne, and her latest album, a cross media production entitled Children of a Factory Nation featuring music and comics. You’ve already met Jordan Reyne, in previous post, How Not To Be Driven Mad By Social Networking. Here, she talks creating a multi-media album, a particularly interesting niche marketing technique – since the concept of the comic book gives Jordan access to both the lovers of comics and forklore, in addition the subscribers to her particular musical niche, folk rock. It’s 1886 in Cardiff, and a young man in dirty clothes takes a step towards the sea. The voice of the ocean taunts and curls into his ears. He looks behind him, to the land and hills and the solidity of the every day world, turns back, and walks out into the waves. This man’s name was Johnathan, and he really existed. He had been a seaman all his life and had paused to raise a family before he made those steps out into the unknown. Between each of his footprints, history left a lot of space – the spaces where I got to fill in the blanks and let folklore lure me in with her seductive hands. Johnathan’s steps began a string of tales – a series of stories set in industrial revolution Britain that come out on October the 24th in album form. As a kid I always loved songs that told stories. 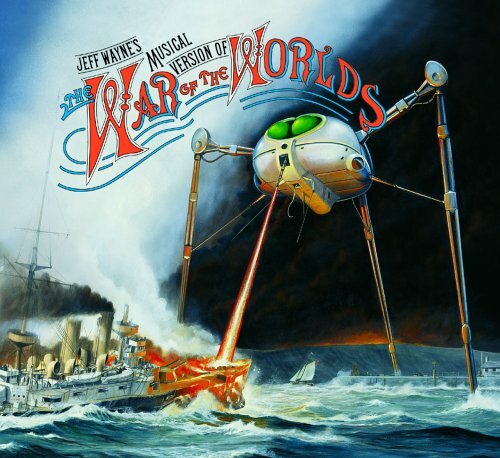 Everything from Steeleyes Span’s retelling of “700 Elves from Out the Wood”, to the album of H G Wells “War of the Worlds”, Pink Flyod’s “The Wall”, and Klaatu’s “Hope”. They created characters, story and sounds that came together to give a sense of being there. They conjoured up a million images in your mind and took you someplace away from the here and now. So now you know I am a masochist, because I set out to try and do something similar in the sense of storytelling 😉 I got out my sampler and recorded the sounds of steam, steel and iron, the threshing of old school machinery, as well as the folk instruments of the time. I mixed them in with facts and folklore to set up a place that sounded like where the characters lived, but something was still missing. In the old days, I realised, I would listen with my eyes as well as my ears. 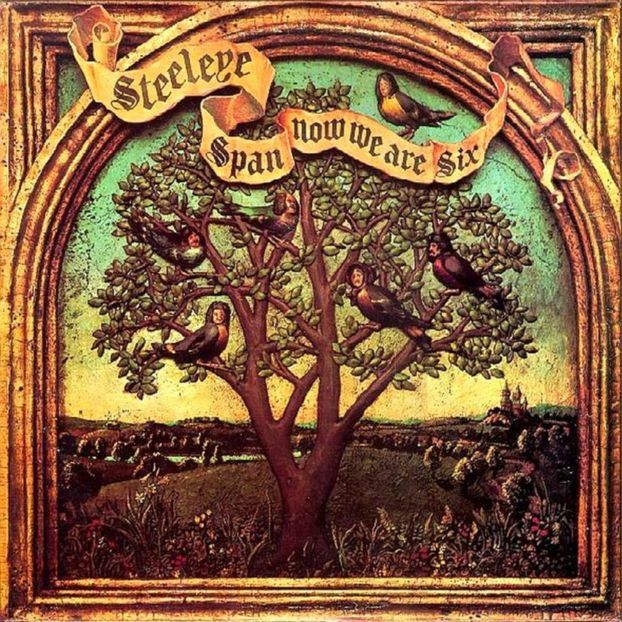 Records had those beautiful large surfaces for accompanying artwork, and illustrations to the songs that so engaged me. I would stare at them for hours while the songs played over and over. Each album cover image spawning a thousand new pictures in my head. In the brave new world of digital music, with an album project underway that I knew would be sold mostly in digital formats, I was faced with the challenge of getting a visual element into songs that tell a tale – a way to conjour up the images of a time when new machines, factories, and workhouses were springing up all over England, turning old ways of life upside down.In my own head, it was a very visual thing already. Being completely inept at the visual arts, I spend a few hours trying to draw stick figures under mangled cylinders that were intended to be factories. I asked myself not to quit my day job ad decided to enlist the help of people who are in the know about telling stories with pictures. Comic artists. I’d met Ben Naylor in a pub in Brighton as people were shuffling out into the night after a show. He had his own comic series about a rather destructive shark who was half octopus. Not an obvious fit for tales of working class England, but certainly evidence of a taste for the dark. Ben floored me with his intuition on the comic, which was a stand alone piece to tell the tale of Johnny’s wife, Mary, who stares out over the waves until she eventually sees Johnny’s rotting ghost and follows him. Yes, there is a bit of gore in these tales too 😉 I am a huge fan of the brothers Grimm! The second comic from the album is further on in the story – when we have followed Johnny’s family through to the 1920s: to drive in theatres, airbourne heroes, and an automotive industry boom. ‘I just can’t abandon them’. 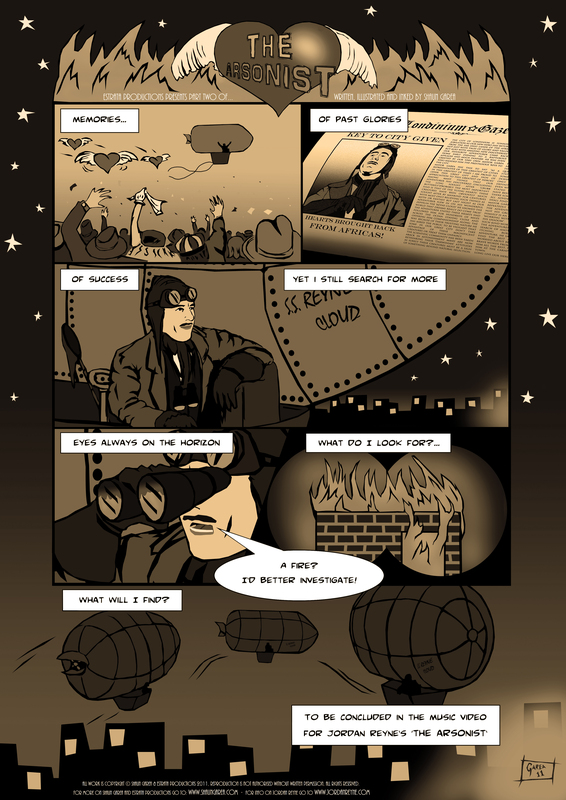 Shaun used the comic idea for The Arsonist, to give the characters from the video and music some backstory, stretching the reach backward into time. Wynn, (the scientist) is one of the characters we knew the least about, historically, so there was the scope to play with her a lot. We have her in a lab experimenting and causing the place to burn down in her quest to understand what life might be about. With the album, Children of a Factory Nation, due out on Monday October 24th, I am as excited about the cross medium side of it as I am about the music. It has been a collaborative project on so many levels – from the listeners who funded it, to the street team promoting it, and the filmmakers , comic artists, and indie book publishing houses involed in the end product itself. No album ever happens entirely as the result of one person, and maybe they actually shouldn’t. It’s been a real eye opener (eek, sounds like a lame pun) to be able to work with visual artists who can bring back in that visual charm and engagement that is sometimes lost in the digital distribution format. This guest blog was written by Jordan Reyne, a full time musician with 3 Tui nominations under her belt, her new album “Children of a Factory Nation” is out this October 24th through Believe Digital. Click here to find out more about Jordan Reyne. Click on the album art to purchase Jordan’s new album “Children of a Factory Nation”.